This woman had an issue for 12 years. Most likely she tried anything and everything to get it solved. However nothing she tried could work. After this long bout with her issue she realized that only Jesus could help her get well. She knew in her heart that if she could just get to Jesus then her issue would be taken care of. She knew that touching Jesus' garment would make her well. She had faith in Christ. 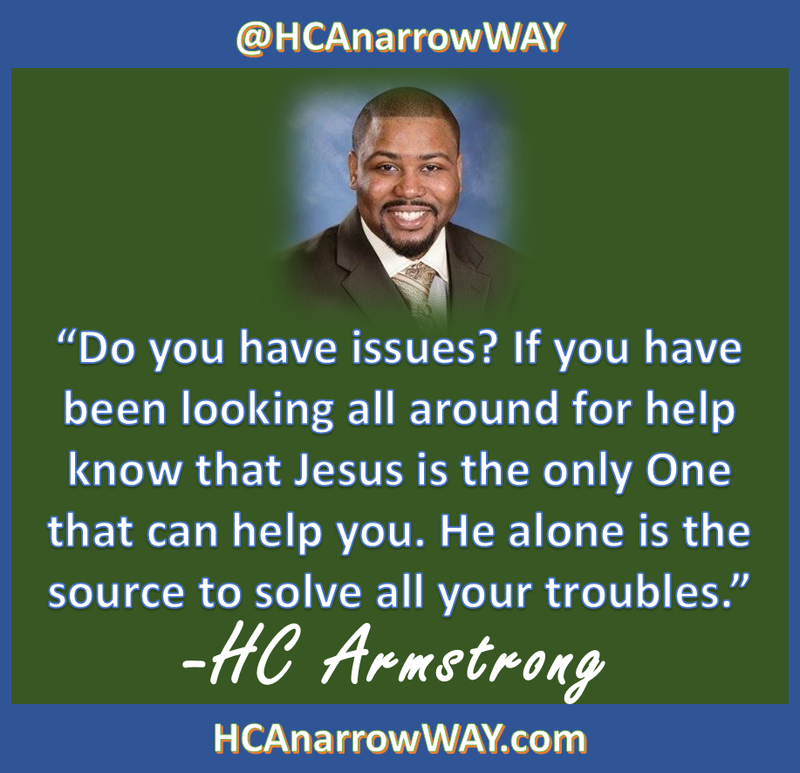 Jesus can solve any issue that you have regardless of what it may be. Do you have an issue? Do you have issues? If you have been looking all around for help know that Jesus is the only One that can help you. He alone is the source to solve all your troubles. All you have to do is have faith in Jesus and his life-changing power. Jesus will solve your issues. Just trust Him!